UPDATE 02/19/09: The story of the Franklin County Animal Shelter comes to a conclusion: Commissioners fired both managers this evening after a consultant's report described the administration of the $5.2 million-a-year county agency as "dysfunctional and toxic." Director Lisa A. Wahoff and Assistant Director Craig L. Turk had been on paid leave since January 6 pending an investigation by a consultant. The consultant's report, released today, concluded that the public is treated rudely, money is "squandered" and co-workers routinely and without consequence bully one another. The consultant interviewed half the employees of the shelter, and they painted a county agency in chaos. Commissioners voted 3-0 to fire both Wahoff and Turk. Commissioner Paula Brooks read a prepared statement, and commissioners then declined to comment further. Wahoff was placed on administrative leave today, following the recommendation from the county administrator Don Brown. Franklin County commissioners discussed the issues in executive session this morning, but did not take any actions which could include the firing of Wahoff and Turk. Officials said the commission will discuss what actions, if any, will be taken in a general session tomorrow. Neither Wahoff or Turk commented in the article. Commissioners will consider removing top managers from the Franklin County Animal Shelter as soon as Monday as they look at hiring a consultant to investigate reports of mismanagement and animal suffering. Director Lisa A. Wahoff could be placed on paid administrative leave, and Assistant Director Craig L. Turk could be fired. Commissioner Paula Brooks said that putting people on administrative leave is fair under the current allegations until the facts are better known. Turk's attorney, Michael Moses, confirmed yesterday that his client is fighting termination. He said Franklin County Administrator Don L. Brown placed Turk on paid leave last week when he refused to resign. Moses believes his client is being fired for blowing the whistle. "He has reported the overcrowding of the shelter because of the director's failure to euthanize animals in a timely fashion," Moses said. Additional details about both Wahoff and Turk are expected to be learned shortly. E-mails, provided to The Dispatch under a public-records request, show infighting and backstabbing between Wahoff and Turk. In those e-mails, County Administrator Brown warns them that he will hold them both responsible for the success, or failure, of the shelter even though Turk, as the assistant director, had little control over key matters such as OSU leaving. E-mails from Wahoff accuse Turk of "insubordination" and "neglect of duty." She had stripped him of most of his management duties a year ago. County records and e-mails also indicate that Wahoff violated county nepotism and ethics policies. Wahoff hired a paroled felon who lived with her "in a spousal relationship," according to a domestic-violence protection order she sought in court last year. 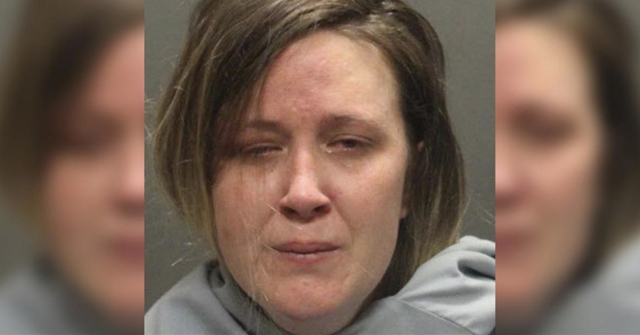 She also had an employee come to her home and euthanize her own dog, a 15-year-old Australian shepherd. But Wahoff's dog was logged on shelter records using the same ID number as a pit bull euthanized that day. It's unclear as to why. Franklin County, OH - If one thinks the Fulton County Animal Shelter under the management of Jere Alexander was a disaster, consider the ramifications of any large "no kill" type shelter that refuses to euthanize sick and vicious dogs and instead adopts them out to families. Just before Christmas, it was reported that the Ohio State University College of Veterinary Medicine issued an alarming 2007 report. The document portrayed the shelter rife with mismanagement, disease, and overcrowding. Introducing Shelter Director Lisa Wahoff. The most stunning example to date of why "no kill" and "save more dogs" are fundraising buzzwords and unrealistic in practice. They also place animals and the community at risk. The report was issued in April 2007. By September of that year, the university severed a 9-year relationship with the county that provided surgery and treatment worth $55,000 annually. Officially, the university wanted to train its students at the Capital Area Humane Society. But internally, OSU had serious concerns. Seven OSU vets said shelter managers had overruled their professional advice and illegally altered dogs' medical records. In the year since, conditions have only worsened. Dr. Jeanette M. O'Quin, who taught shelter medicine and surgery when OSU students were at the shelter, told reporter Barbara Carmen, "We are worried we are on the brink of disaster." Her concern comes as the county prepares to spend $18 million on a new dog shelter aimed at luring more adoptions. As recently as September 2008, two veterinarians sent a letter to commissioners saying that problems at the shelter will simply move to a new address if a new facility is built. O'Quin provided dozens of records that show dogs that had been brought into the shelter for biting were put back up for adoption. "Returned for biting child three times in face," a concerned employee wrote on one file for a 30-pound dog that had bitten a 9-year-old boy on the cheeks and chin. The shelter adopts out pit bulls and pit mixes, telling owners they are "mixed breeds." The report says, "Mom was euthanized and the puppies were adopted as lab mixes...People are now coming in because they are looking for pits and heard the shelter was adopting them." Dogs are being adopted out sick, sticking owners with expensive medical bills. Shelter vets fear that such parasites as Giardia lamblia, which causes explosive diarrhea, will spread to healthy pets and people in the community. The shelter is unsanitary. Dogs are allowed to lounge around the shelter to socialize them, but the vets complained that urine and feces were everywhere -- even inside employee lunchrooms. Dogs are suffering, stacked in "small cages with little human contact or exercise for months on end," the OSU report says. Some stay on the county tab for food, boarding and medical care as long as three years. The OSU report says, "In many cases, behavior problems develop or worsen. I commonly saw muscle wasting. If animals were confined this way in homes or puppy mills, (owners) could be charged for animal cruelty." The article goes on to talk about Wahoff, a woman who loves dogs so much that her defenders say she is being attacked for trying to save innocent lives. Friends of the Shelter, a nonprofit group under the management of Ellen Mrochek, last year raised $202,601 for a discretionary fund to provide medical and boarding expenses for shelter dogs. This "creative way" of sparing taxpayers bills to save dogs that might otherwise be euthanized is credited to Wahoff's credibility with rescue groups. But Wahoff's critics, including the OSU vets, charge that she is killing dogs with kindness. A refusal to euthanize sick or vicious dogs has overcrowded the shelter, spreading germs, sickening otherwise healthy and adoptable animals, and putting people and pets in the community at risk. Dr. Melinda D. Holland, who quit after serving as medical director of the shelter for six months said, "I couldn't prevent animal suffering or protect the public. It just gives you nightmares. It's a time bomb." "Uncountable pit bulls and pit bull mixes are adopted out as various other mixes. Regardless of how you feel about pits, no one should adopt one thinking it is something else. A litter of pit mixes came in with a pure bred pit mother. Mom was euthanized and the puppies were adopted as lab mixes. Some are returned when vets or landlords inform the adopters what they have. People are now coming in because they are looking for pits and heard the shelter was adopting them." (Example noted in report): "Baby Bear was not recommended for adoption by staff and behavior dept. He was on the adoption floor for a long time, where his behavior worsened and was brought to the attention of administration several times. He was adopted. He was returned on 3-11-07 for biting a child in the face. Today, he was taken to Libby's (Dr. Libby Kinsell) for a quarantine. (Libby's is a common place to send known aggressive dogs, many are adopted from her home)." "No Protocols. On many occasions, very obvious pit bull mixes were being adopted out. This is against county policy, and was happening repeatedly. Again, noble intentions, but with potentially very dangerous and legal ramifications for the county." "Temperament Testing/Behavioral Screening. A real legal concern. Veterinarians with a special interest in animal behavior would do a behavior screen on each dog that was available for adoption. The results and recommendations of their testing were repeatedly altered and ignored. Again, altering medical records is illegal! Disregarding an experts' (the veterinarian) recommendation, in this situation, is foolhardy at best. Many dangerous dogs were and are on the floor for adoption." (Example noted in report): "Case in point follows: A young, castrated, Rottweiler was temperament tested by a veterinarian and deemed dangerous - aggressive. It was recommended this animal be humanely euthanized. Administration ignored the recommendation and adopted the dog out. On the way home, in the car, the dog bit the new owner in the face!" "Altered medical records. This is extremely serious. As a veterinarian, it is paramount to keep accurate medical records. On repeated occasions, medical records were altered to create the administrations' desired outcome for that dog. This is illegal! The expert in this situation (the veterinarian) was being disregarded." "Medical records (which were kept by veterinarians) were often altered and/or disregarded by the administration. This happened in varying degrees. Many times my medical recommendations were crossed out and written over by a staff member. Other times the records would disappear entirely. Usually this happened when the medical recommendation interfered with the administration's plan for the animal." In conclusion, DogsBite.org would like to add two things. First, the writer of this Columbus Dispatcher article, Barbara Carmen, has done outstanding investigative reporting on this issue. Secondly, the Lucas County Dog Warden, Tom Skeldon, is currently under fire by these same types of fanatical "dog saving" groups. DogsBite.org recently named Tom Skeldon the Dog Warden of the Year. Under the authority of Skeldon, this type of shelter and public safety disaster would be impossible. There is yet another scandal involving this psycho shelter director Lisa Wahoff. She hired an ex con, became intimately involved with him, he stole from her, staff was afraid of him etc etc etc. I can”t put my hands on that link at the moment but I will keep looking. The quality of people involved in animal sheltering is absolutely depressing. According to reports, Wahoff is a Registered Nurse. 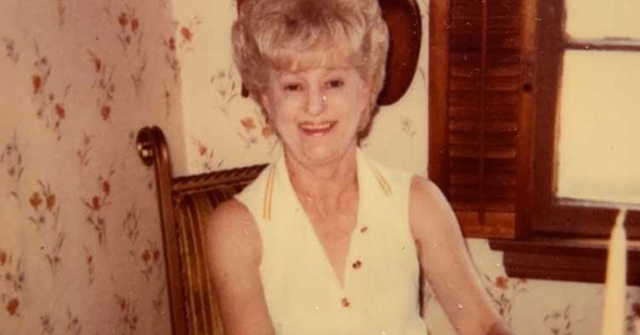 In her professional capacity as a Nurse she must be aware that the Ohio Board of Nursing takes a very dim view of alteration of medical records. Everything this Wahoff was doing is what Nathan Winograd (and Best Friends) advocate. This No Kill always ends up the same way- overcrowding, death, handing out animals to hoarders and dog fighters, handing out aggressive dogs- but the No Kill fanatics will always claim they are being “persecuted” and that others are lying about them. These No Kill fanatics are trying to take over Animal Control in many areas and latch on to tax dollars for this madness. Some legislators are gullible and manipulated by these people, and don’t know of the disaster that No Kill has been. It is not possible to run an open admission shelter or pound that is No Kill, no matter what any fanatic tries to claim. It is very important to educate your community if this illness comes to your town. Sadly, I think far too many people in the animal welfare community suffer from mental illness….it is quite common for people who are hoarders, (a recognized form of mental illness) to become involved in rescue. There is really no such thing as “no kill” shelters…they are actually limited admission shelters. There are NO local open admission shelters in my immediate area, so animals are simply being dumped…cats especially, which contributes to the feral cat population, and the fattening up of the local coyote population. Here is an interesting article I found on pet finder about adopting out pit bulls…. Funny that we don’t read much about this survey now, huh? This is true…..I know people who turned to breed specifc rescues or breeders after looking in the local shlters because they were full of pits and other muscle dogs. 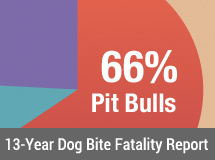 I am amazed at the amount of resources it takes to safely and successfully care for, evaluate, train, and adopt out the rare pit with a solid temperament. You could save 10 friendly, highly adoptable dogs for the cost of saving one pit. It tells why shelters should automatically euthanize fighting dogs, and how to resist public pressure to adopt them out….the article describes them as “ticking time bombs”. Thanks to the anonymous poster for the link to the HSUS policy on placement of fighting dogs, very useful information! Ninnygrad has quite the list of failures. WE PROBABLY COULD COME CLOSE IF WE COULD FIGHT THE PROBLEM AT ITS ROOTS : OVER BREEDING! Finally someone in Ohio woke up. Now how about Montgomery County? What is going on in Montgomery County? Please point us to some news article links if you have them. And share any insights that you might have. I agree with Sue Sternberg’s assessment that “no-kill” policies, in a shelter environment, is cruel. No kill is all about human feelings, emotions, and egos, not about what is best for dogs. Dogs have no concept of their own mortality . (and good for them!) But they do understand and experience fear, pain, and anxiety. Keeping an unadoptable dog for long periods of time in a shelter kennel is far crueler than humanely euthanizing him. I think the no kill movement was a public relations ploy to help fundraising efforts….it sits better with the donors to say that no animals are being euthanized. It also keeps the public safely ignorant about the real problems of pet overpopulation. Here is an interesting op-ed article on pit bull attacks…the poster is being attacked by the usual pit bull fanatics. By the end of the week, she have will resigned in disgrace like that OTHER dysfunctional bimbo shelter director, Jere Alexander. Another ethereal A/C worker spews pit disinformation. She throws cocker spaniels and chihuahuas under the bus, despite every city which publishes breed specific bite dat having pit bulls in the lead. 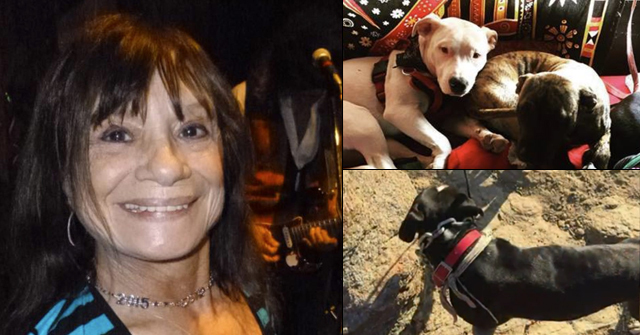 "Turk said in a letter to county administrators that Wahoff summoned an employee to euthanize her dog at home and illegally allowed a fatal drug to be taken off the premises. He said she overruled and chased away Ohio State University veterinarians, and that her policies caused overcrowding at the shelter, allowing disease to spread. He said Wahoff also stopped him from disciplining an employee with whom she had a "spousal" relationship, according to court records Wahoff signed. And he accused her of falsifying records to omit biting incidents so that dogs still could be adopted." Ray Sim, who took over Broward County Click here for restaurant inspection reports’s troubled Animal Care and Regulation Division in mid-October, resigned abruptly on Friday. Sim had previously served as deputy director of Animal Services in El Paso, Texas and director of Alachua County Animal Services in Gainesville. Animal Director Hopping! You all might want to keep track of this guy. MORE shelter scandals. This time in Florida. Of course, they are all screaming SMEAR CAMPAIGN! Also in Florida, the St. Augustine Humane Society which closed its doors in October because of financial problems, is looking to recreate itself as a nokill shelter. Yeah, that should solve the money problem! On Thursday, animal services issued a citation to Don Cohen, director of Gulf Coast Humane Society, after investigating an ill dog named Pinky. Animal Services was notified of the poor condition of the approximately 8-month-old mixed-breed dog on Wednesday when someone submitted a photo, which shows the puppy with open, bloody sores over much of her body. Some with the humane society asked for the citation given to Don Cohen to be reversed at Friday’s meeting. That’s something animal services said would not happen. “We feel issuing a citation to Don Cohen was ludicrous,” said Mark Scarola, former board president for the Gulf Coast Humane Society. This shelter has repeatedly adopted out dogs with known bite histories, withholding that information from the adopters. In Florida there is no overseeing agency to shut them down. Also I think the date on this blog post is wrong? It should be 2009, not 2008? Thanks for the date fix! The Gulf Coast Humane Society in Ft. Myers, FL was supposed to be “low-cost” clinic which would provide affordable spay / neuter services and core vaccinations to low-income citizens who otherwise would not get them. They charge $170-$290 for spay / neuter—that is not low cost. (Unless you’re on the Board of Directors, then you get at least a 10% discount!!! What’s wrong with this picture???) Director Don Cohen misled Society members and the public by promising the clinic would provide services to those who could not afford a “full-service” vet. But at these prices, this clinic is doing NOTHING to provide spay/neuter services to those who need them, so pet overpopulation continues. But it IS offering unfair business practices in competing with our local vets who have to pay normal rent, insurance, taxes, etc., but have none of the protections afforded by a “Humane Society’s” not-for-profit status. This is clearly an unfair business practice, and benefits no one except the HUMANS at Gulf Coast. update: 2/18 Both lisa and craig were fired today! The head of Clark County’s Humane Society was terminated from his job after a series of allegations by Humane Society trustees. Ed Sisler is being accused of “employee misconduct” and “managerial deficiencies.” Trustees said Sisler allegedly stole property from a home on February 19, when the Humane Society responded to a house full of suspected malnourished animals.